L.J West's diamond collection consists of the largest collection of rare fancy colored diamonds in the wholesale market including the greatest number of Argyle Pink diamonds in the United States. Of the 20 million carats of rough diamonds that are produced annually, less than 0.1% is pink. 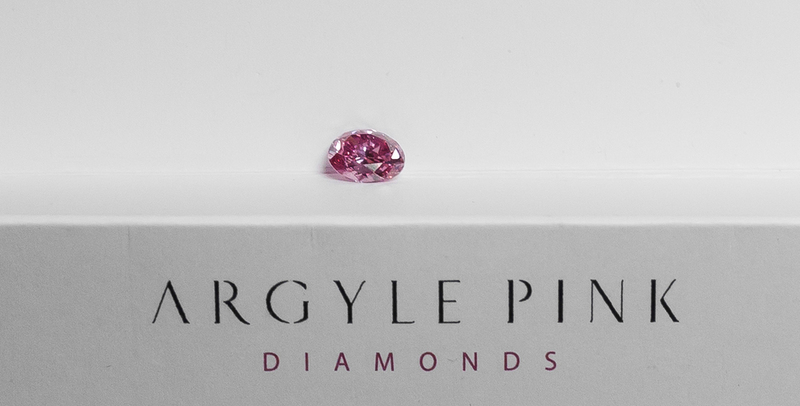 Argyle pink diamonds are rare; in fact they are beyond rare. With just an estimated half a decade of supply remaining in the mine, as time passes the Argyle pink diamond becomes evermore precious. The pinnacle of rarity among its peers for its extraordinary combination of size, color and clarity, The Argyle Violet is both a mystical beauty and a diamond of historic significance. 2.83-carat Argyle Violet, the largest and most valuable violet diamond recovered to date from the Argyle mine. — Argyle Pink Diamonds manager Josephine Johnson. Formed more than one and half billion years ago, and hidden in the deep reserve of the Argyle Diamond Mine lay the promise of a diamond that was impossibly rare. The 2015 discovery of the 9.17 carat rough diamond exhibiting bluish hues was an astonishing yet thrilling moment in Argyle's history; as never before had a diamond of this color and significant size been discovered in Australia. The 2015 discovery of the 9.17 carat rough diamond, reminiscent of a meteor, the unusual rough diamond shape was characterized by deep grooves and an a uneven surface, bringing an other worldliness to this extraordinary miracle of nature. Recognizing the significance of the diamond, a polishing plane employing a blend of science and technology was completed over many months - however the ultimate and final challenge rested in the careful and expert hands of a single master craftsman. For more than 80 hours, the expert handcrafting of the history-making diamond took place with focused determination to unlock the single band of saturated violet color running through the heart of the stone. The resulting 2.83 carat oval shape, with color grading of Fancy Deep Grayish Bluish Violet from the Gemological Institute of America (GIA), is the only violet diamond of this color seen in the history of the Argyle Pink Diamonds Tender, making it unrivaled in its rarity. The Argyle Violet - 2.83 carat oval shape, with color grading of Fancy Deep Grayish Bluish Violet. Although the Argyle mine supplies approximately 90% of the world's pink diamonds, astonishingly, a whole year's worth of production of stones over half a carat would fit in the palm of your hand. The larger rare violet diamonds would barely fill a teaspoon. Hence, they are highly sought after by investors, collectors, jewelers and their customers, and celebrities. Prized by all who possess them; revered for their unique provenance, intrinsic beauty and extreme rarity. There are structural constraints that will limit the production of rare pink diamonds and contribute to a widening demand overhang, a steadily declining mineral reserve base, compounded by limited exploration success and relatively high barriers to entry. The chances of any future mine discovery replicating the unique properties of the Argyle Diamonds Mine, is extremely low. Currently there are no other pink diamond mines or deposits, and even if another deposit of pink diamond-bearing ore is discovered, it takes on average 10 years for a mine to proceed from discovery to production. Inventories of diamonds are at historically low levels with significant stockpiles reduced to working capital levels over the past decade. The finest and rarest diamonds are reserved for the annual Argyle Pink Diamonds Tender, which over more than three decades, has established itself as the most exclusive diamond sale in the world. The Argyle Tender event highlights a small number of important diamonds that stand apart from their peers in terms of vibrancy and intensity of color. Private tender viewings are held in Hong Kong, New York and Sydney, with past tenders having traveled to Antwerp, Geneva, London, Tokyo, Singapore, Mumbai, Shanghai and Beijing. 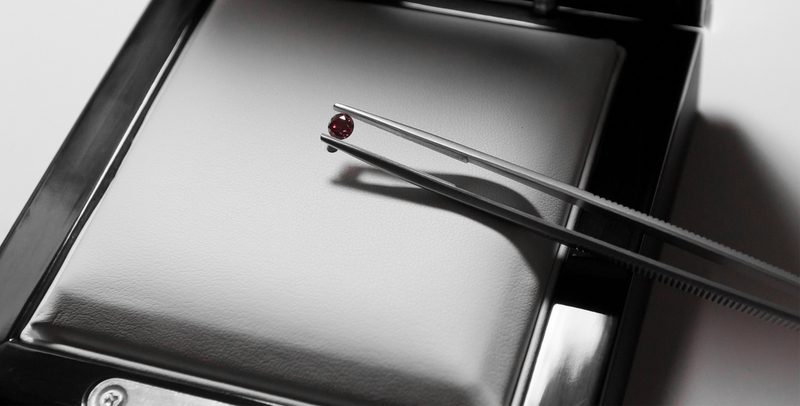 Around 150 connoisseurs, collectors and luxury jewelers are invited to place sealed bids on the diamonds. Prices for these diamonds can exceed millions per carat.